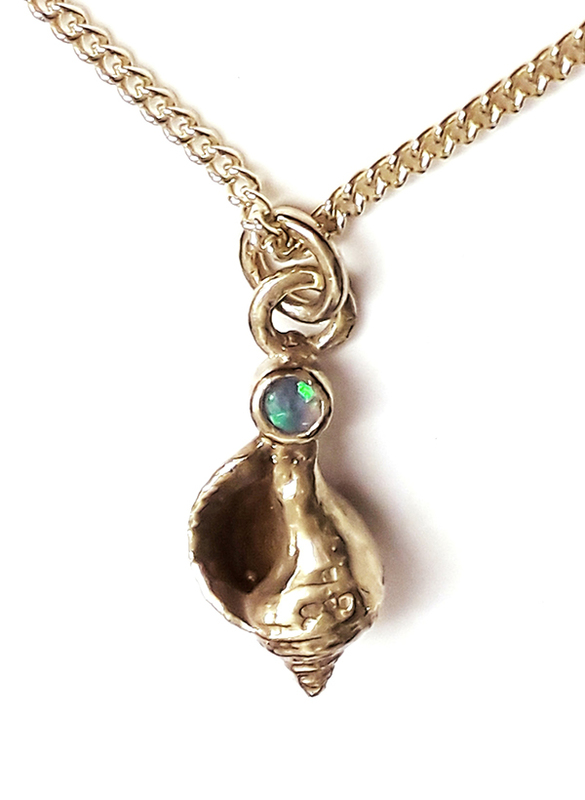 This is a unique 9ct gold plated shell and manmade blue green opal necklace which Pa-pa has formed from casting of a real baby whelk shell from Llangennith Beach, Gower, South Wales. 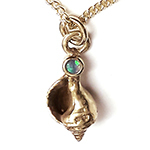 9ct gold plated over solid silver. Approx 1.5cm long on a 16 or 18 inch silver snake chain that has been 9ct gold plated.